Restaurant De Kromme Watergang is located in the beautiful Zeeland region in The Netherlands. 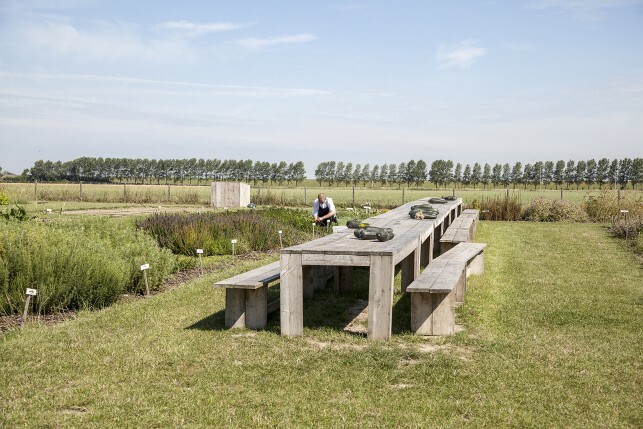 Upon arrival guests are overwhelmed by the tranquillity that is generated by the neighbouring sea, the fields and the picturesque village where you will find the restaurant: Slijkplaat. Facing the waters and the fields, the beautiful village of Slijkplaat only counts around fifty inhabitants and around thirty houses. 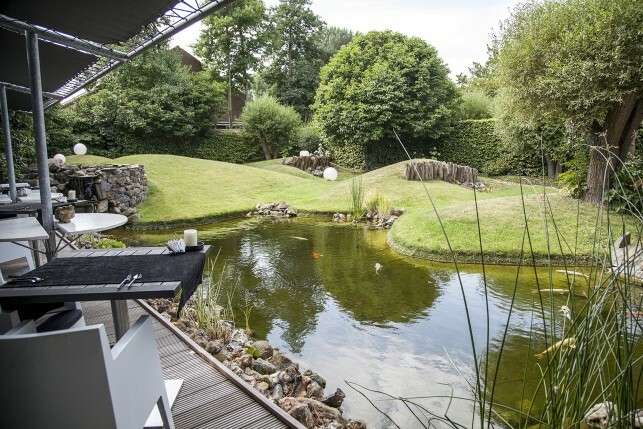 It is indeed remarkable that this place boasts one of the most inventive restaurants in The Netherlands! The restaurant is established in a beautiful former school with an impressive entrance, a cosy and fairylike backyard and the important garden “Zilte Hof”, just in front of the restaurant. The interior is dominated by black, white and red colours and boasts an open kitchen, while the backyard forms a perfect spot for lunch with its miniature rolling hills and a nice pond full of coy carps. The garden “Zilte Hof” produces vegetables, spices and fruits and is used as an experimenting yard for the restaurant’s ingredients. 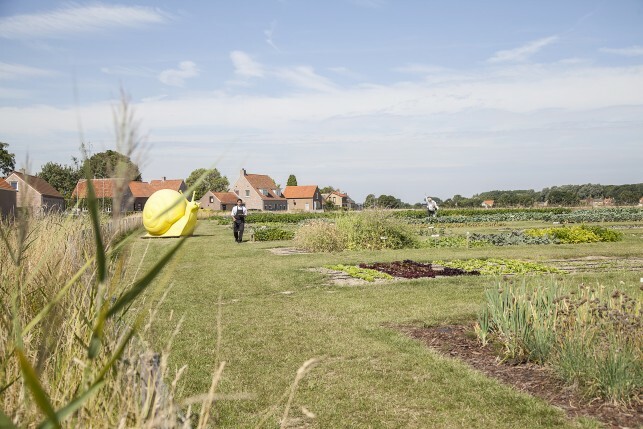 “Zilte Hof” opened a new world for the restaurant and its team and together with 2 other involved actors the beautiful produce from Zeeland is promoted through this garden. 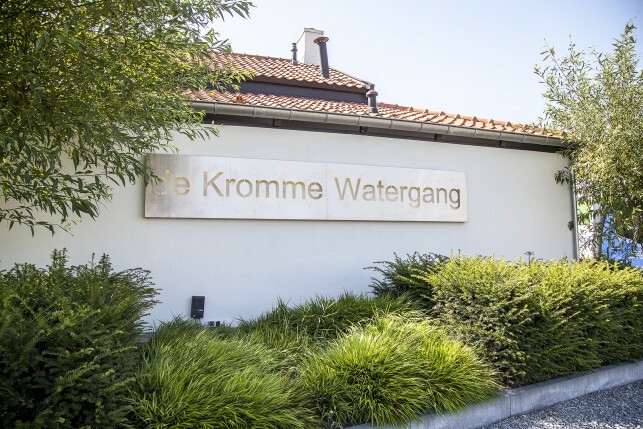 De Kromme Watergang was created in 1993 by Chef Edwin Vinke and his wife and lady of the house Blanche Vinke. Besides the restaurant the couple also exploits three beautiful suites nearby that offer the ideal accommodation after a wonderful dinner. Chef Edwin Vinke stands for passion, drive for perfection, pride and enjoyment and demonstrates an eye for the best local ingredients (and there are many) which he prepares in creative and surprising ways. 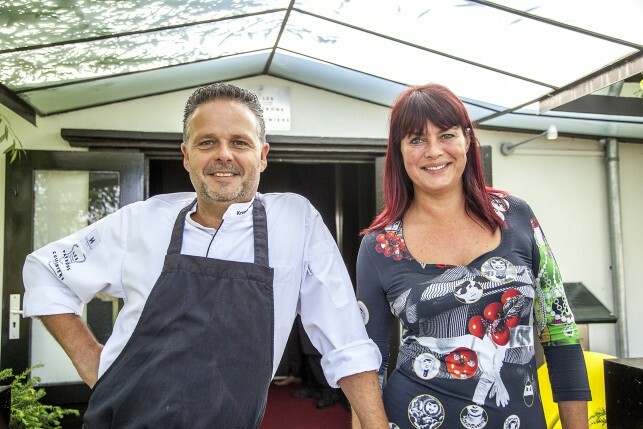 His kitchen is based on the salty and earthy flavours that he finds around De Kromme Watergang. 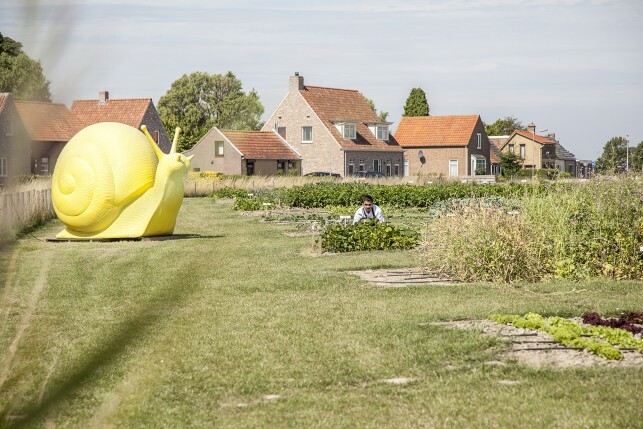 He strives to create fresh, light (with no fast sugars), easily digestible and creative dishes that are inspired by the beautiful Zeeland landscape. 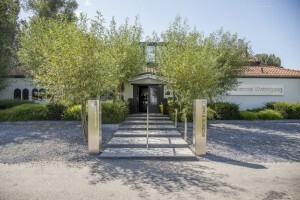 And he and his team deliver: the restaurant is rewarded with 2 Michelin stars and is internationally praised by foodies. 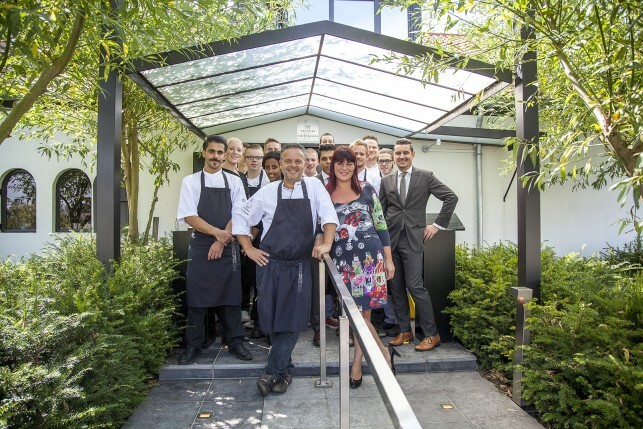 The chef and lady of the house are complemented by Mike Dooms, sommelier and maître, and Hendrik Buysse, sous-chef, and together with the rest of the team they reach culinary heights. 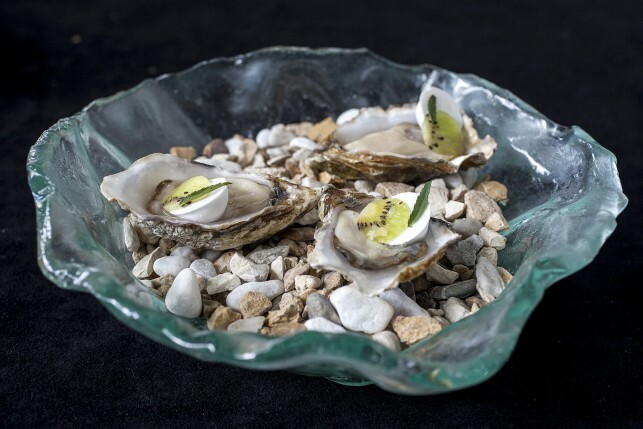 The sea and its produce are very important for De Kromme Watergang: beautiful fish and shellfish are presented in their purest forms and seawater is used to cook the ingredients, to water the plants and vegetables and even as a concentrated spray to replace the salt on your bread! 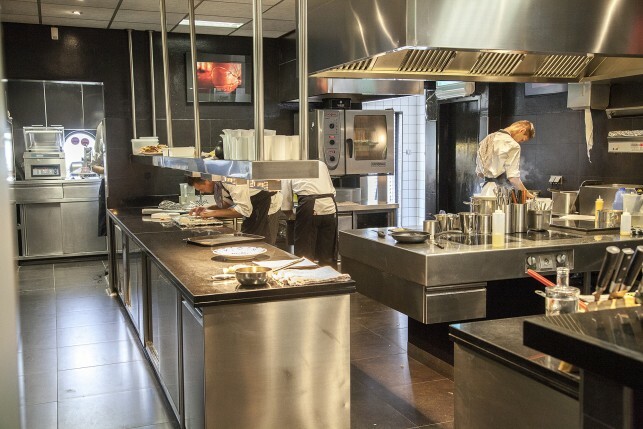 The restaurant also tries to keep the lines between the manufacturer and the kitchen as short as possible, and the suppliers are greatly respected: the restaurant even dedicated a book to them. 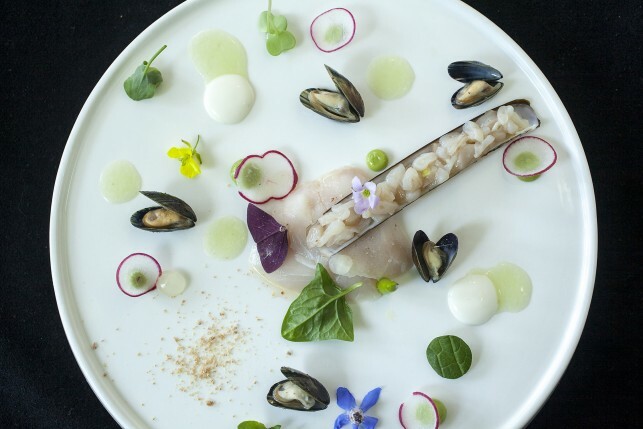 2) Harder, mussels, razor tartar with spring onion and sea water, sorrel, wasabi, daikon, cucumber herb, cream of green curry, bone marrow and a vinaigrette of celery. 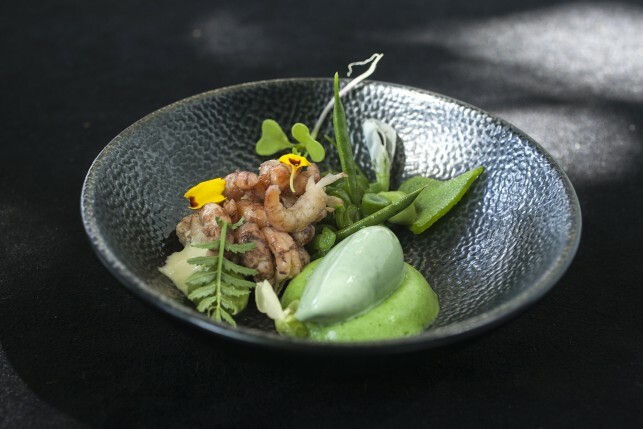 This dish demonstrates the love for local, pure products and is delicate in flavour and presentation. 7) Pigeon, smoked in an Oklahoma barbeque, sauce of spices and carcass of pigeon. Amazing! Some of the dishes are presented on old and precious plates, manufactured in the region decades or even centuries ago. 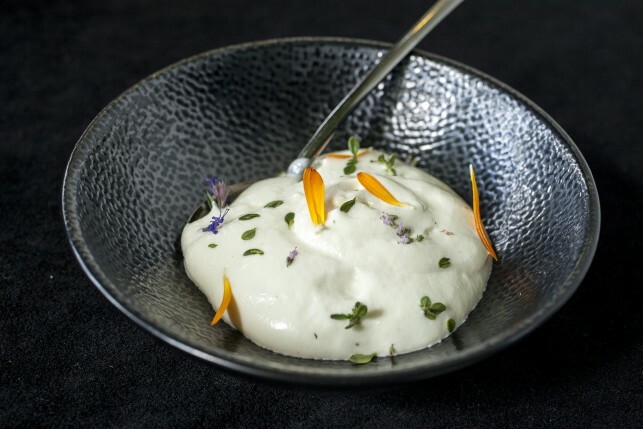 Just another example of how all the elements blend together nicely into a great gastronomical experience, focussed on the beautiful region and quality ingredients. The wine selection stands out in diversity and subtlety and from the aperitif to the digestive, Mike Dooms surprises with excellent choices. 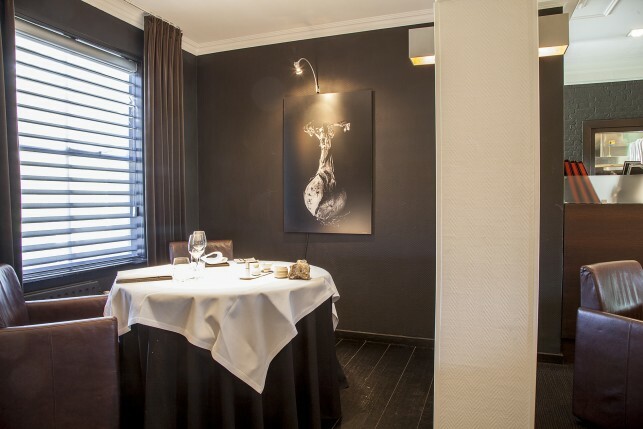 The passionate sommelier has been awarded with several prices and has a keen eye for great wine pairings that complete the restaurant’s cuisine perfectly. 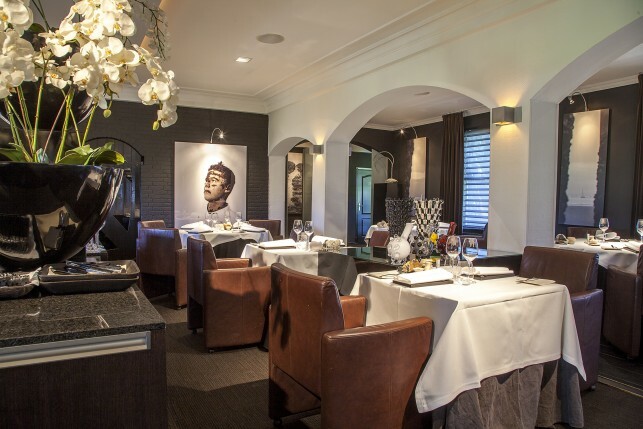 De Kromme Watergang is a true culinary gem located in a beautiful region in The Netherlands. 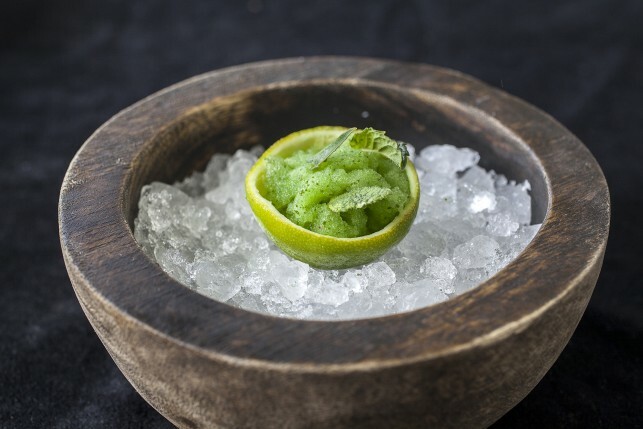 The philosophy directs the restaurant in a great way which is reflected in pure, surprising dishes bursting with flavours. Every food lover should visit De Kromme Watergang for a memorable gastronomic trip, laced with culinary highlights, joy and admiration.